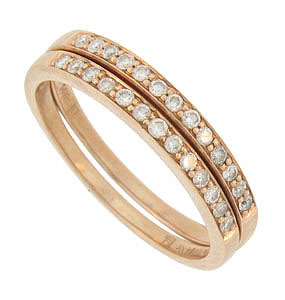 These glistening 14K red gold stackable wedding bands are channel set with dazzling round cut diamonds. 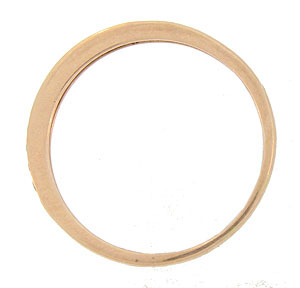 Each of these antique style wedding rings measure 1.94 mm in width. The bands are photographed with WB2496 (sold separately). Size 8. We can re-size. 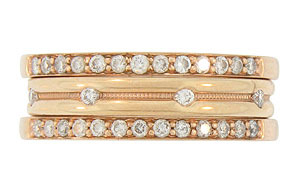 These rings are often sold as a pair for $600 but can be purchased individually.